Academy of Spinal Cord Injury Professionals is a interdisciplinary organization dedicated to advancing the care of people with spinal cord injury/dysfunction (Spinal Cord Injury/D) by bringing together nurses and physicians.The Academy is made up of the American Association of Spinal Cord Injury Nurses, the American Paraplegia Society, the American Association of Spinal Cord Injury Psychologists and Social Workers, and the Therapy Leadership Council in Spinal Cord Injury. AAPRM&R is the primary medical society for the specialty of Physical Medicine and Rehabilitation (rehabilitation physicians). It provides information on medical issues and best practices and continuing education and training. Here you can find a basic definition of what a physiatrist does as well as where to find one in your area. Click on “About Physiatry” to Find a PM&R Physician in your area and their contact information. The American Medical Association has compiled an online index of virtually every licensed physician in the U.S. Using this tool, you can search for specialty doctors in your area. The website lists first the doctors who are AMA members, though non-members can also be found. Each listing includes information on the location of the doctor’s office and, in some cases, accepted insurance providers, educational history and specialty certifications. The American Occupational Therapy Association advances the quality, availability, use, and support of occupational therapy through standard-setting, advocacy, education, and research on behalf of its members and the public. AOTA’s major programs and activities are directed toward assuring the quality of occupational therapy services; improving consumer access to health care services, and promoting the professional development of members. The Association’s website section for Disability and Rehabilitation provides a variety of resource tips to better understand the role OT’s play in Spinal Cord Injury rehabilitation. The Australian/ New Zealand Spinal Cord Network’s mission is to make recovery from spinal cord injury as full as possible. Established in 2008, the Spinal Cord Injury Network has identified a number of ways to speed the translation of innovative research discoveries into practical benefits for people with spinal cord injury, focusing on five approaches. They aim to advance treatments for spinal cord injury by promoting excellence in research and clinical practice through improved communication and collaboration to build capacity. 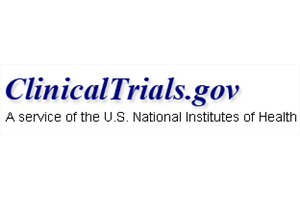 A variety of consumer education sheets were developed by the U.S. National Institutes of Health to help people better understand clinical studies. Descriptions are provided on clinical trials and observation studies, who and where clinical studies are conducted, how long studies last, reasons for conducting them and who and how one participates in a clinical study. The Medical University of South Carolina’s Spinal Cord Injury Research Team research goal is to help better understand the life situation of our people with spinal cord injuries, and to identify factors that may be used to promote better life outcomes. Their research ranges from studies on pressure sores to education and employment outcomes for people with spinal cord injuries. MossRehab is the largest provider of inpatient and outpatient physical medicine and rehabilitation in the Philadelphia region. Their comprehensive spinal cord injury program provides care at all stages of recovery. Family education is a key component of care and supports goal setting for stress-free transitions and continuity of care. The MossRehab Spinal Cord Injury Program is structured to move hand-in-hand with people and support their goals to achieve independence and lead productive and rewarding lives. 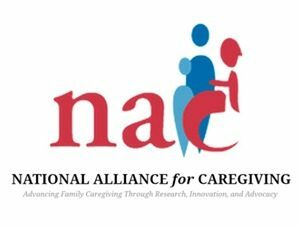 Established in 1996, the National Alliance for Caregiving is a non-profit coalition of national organizations focusing on advancing family caregiving through research, innovation, and advocacy. Family caregivers provide important societal and financial contributions toward maintaining the well-being of those they care for, the Alliance is dedicated to improving quality of life for families and their care recipients through research, innovation, and advocacy. The North American Spinal Cord Injury Consortium (NASCIC) has the mission to bring about unified achievements in research, care, cure and policy by supporting collaborative efforts across the spinal cord injury community. It brings together like-minded organizations, individuals, and groups to improve research, care, and policies impacting people living with spinal cord injury, their families, and community. OrthoInfo is an online resource from the American Academy of Orthopaedic Surgeons that aims to share the most up-to-date news and information about orthopaedic surgery. The website contains over 600 articles about fractures, sports injuries, joint replacement, childrens’ orthopaedics, and other topics. The sections on Neck & Back provide a variety of consumer education sheets, on diseases and conditions, treatments and surgeries, and health and safety. All of OrthoInfo’s articles are written and peer reviewed by orthopaedic surgeons who are experts in their field. 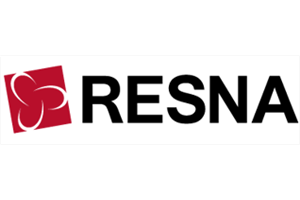 RESNA promotes research and advocacy for assistive technology through membership and programs focused on the exchange of ideas and information about technological advancements for individuals with disabilities. The Consumer and Public Information section of this professional websites provides a catalogue of state programs designed to assist you as well as conferences and assistive technology news. Some of the most useful tools on this website are the lists of state programs which can help you find financial help for assistive technology. 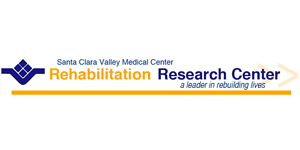 The Research Center at Santa Clara Valley Medical Center conducts research to better understand and improve outcomes after TBI and Spinal Cord Injury. Outcomes studied include the functional, vocational and life satisfaction areas that are important to people with and without disabilities. They strive to meet the needs of injuries persons and their families for information, education and support. Shepherd Center is one of the top rehabilitation hospitals in the nation, specializing in medical treatment, research and rehabilitation for people with spinal cord injury or brain injury. Their spinal cord injury resource website, MyShepherdConnection.org, is a great starting point for individuals and families looking for information on topics ranging from Coping and Adjustment, to Bladder and Bowel Care, to Transfers and Wheelchair Positioning. By providing targeted financial support, Wings for Life enables the implementation of important research projects focusing on curing paraplegia. Wings for Life also supports revolutionary compensatory treatments, which promise to significantly improve the quality of life of paraplegic patients. To choose its research projects, Wings for Life benefits from the expertise of an advisory committee of international scientists and physicians. Together with well respected reviewers, they support the foundation by selecting the most promising projects that focus on relevant research. Wings for Life has established a stringent, multi-stage selection process to ensure the best possible investment of every single donation.